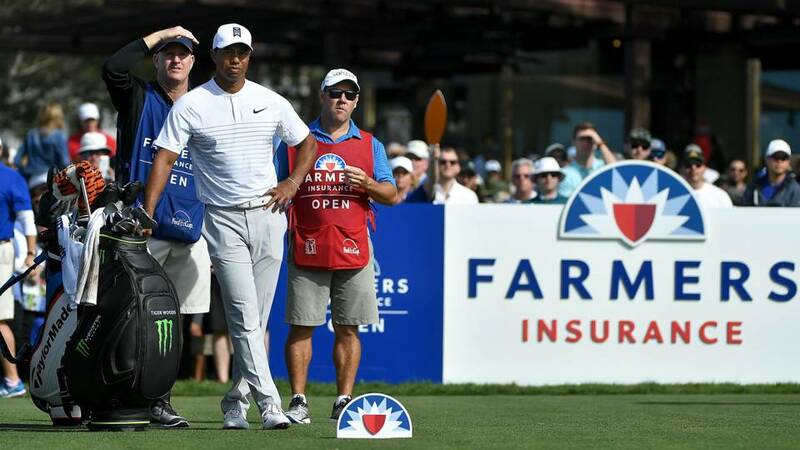 FARMERS INSURANCE OPEN: If you’re not envious of the PGA Tour’s early-season travel schedule, you’re not paying attention: this week it’s off to a little slice of paradise known as La Jolla, California, which is a place you should definitely visit if you haven’t already. The sun is always shining, the air is always crisp, the views are gorgeous… you’ll want to move there, right up until you see the housing prices. But La Jolla is more than just a playground for the rich: it’s home to one of the most renowned daily-fee municipal courses in the United States, Torrey Pines, which is perhaps best known as the site of Tiger Woods’ historic 2008 U.S. Open win, when he outlasted Rocco Mediate on an injured leg, but has also played host to this event, now known as the Farmers Insurance Open, since the 1960s. Torrey Pines features two courses– the North and South– and they will both be utilized over the first two days this week, before all the action moves to the more-difficult South for the weekend. The South Course is an absolute bear– at nearly 7,700 yards, it’s the longest course on the PGA Tour’s regular schedule, and the thick rough and tricky poa annua greens make scoring extremely difficult even for the longer players. As expected of a major championship venue, it’s the type of place where par is almost always a good score, and despite one round being held at the shorter and easier North Course, the winner of this tournament has finished better than 10-under in only one of the last five stagings. Not only do we get to see a major championship-like test this week, we get a major championship-like field, as the stars have truly come out for the first time in 2019. Jason Day is back to defend his title, but he’ll have to fend off the likes of McIlroy, Rose, Spieth, Fowler, market leader Jon Rahm, and some guy named Tiger, who has won this event 7 times in addition to his aforementioned ’08 U.S. Open. This tournament has generally produced high-quality champions over the years, so don’t be afraid to back a blue-chipper this week, even if you have to grit your teeth a bit at the price. Jon Rahm (11.5)- Rahm didn’t have his best stuff last summer, but he found his groove again in the fall and seems primed for a big year. After picking up a victory at the Hero World Challenge in December he took a few weeks off, but he’s hit the ground running in January, finishing 8th in Kapalua and then 6th in last week’s Desert Classic, where he shot 68 or better in all four rounds. An aggressive player who is both long and straight off the tee, Rahm is perfect for Torrey Pines, and his record bears that out, as he won this event in 2017 and was just one off the lead after 36 holes last year. He stands out as the clear favorite this week, and though his price is definitely on the short side, I have a feeling 11.5 will feel like a bargain come Sunday afternoon. Cameron Champ (50.0)- Length off the tee provides a player with a significant advantage at Torrey Pines, particularly on the South Course, and there aren’t many people in the world of professional golf who hit the ball farther than Cameron Champ. But there’s a lot more to the 23-year old’s game than just length– Champ also possess soft hands and a confident putting stroke, and since picking up his first career PGA Tour win in October’s Sanderson Farms classic, he’s been a consistent contender, making five straight cuts and finding the top-15 three times, most recently in Kapalua three weeks ago. This will be his first appearance at this event, but Rahm won two years ago as a debutante, and Champ is riding a wave of confidence at the moment. At nearly 50/1, he’s well worth a bet this week. Beau Hossler (150.0)- Hossler may reside in Texas these days, but he’s actually a Southern California kid who grew up playing lots of golf at Torrey Pines, so he should be very comfortable with the surroundings this week. He spoke to the media about his multiple appearances in the World Juniors, a tournament held annually at Torrey Pines that Hossler won in 2011, and said that he’s learned to “plot his way around” the course after seeing it in competition so many times. He certainly has the length to handle the South Course, and he popped up on the first page of the leaderboard repeatedly as a rookie in 2018, including in this event, when he was tied for 5th after three rounds before running into some trouble on Sunday. And though he missed the cut at last week’s Desert Classic, he didn’t play all that poorly, shooting 69-73-69, and it was his first tournament since November, so it could and maybe should be viewed as a “shaking the rust off” sort of thing. If you’re looking for a live longshot this week, you could do a lot worse than Hossler.